Next time you drink juice, don’t limit yourself to the readily available single fruit varieties like apple, grape or orange. 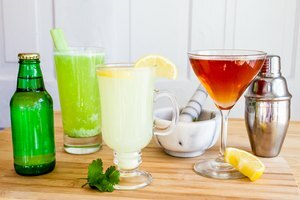 Instead, combine various common and unusual juices to create your own custom non-alcoholic cocktail. You can blend juices to suit your palate regardless of whether you prefer light sweetness, intense tartness or some combination of the two. Mix equal parts of pomegranate juice and limeade (which you can make by mixing lime juice with sugar and water to taste). Stir thoroughly and enjoy. This quenching combination is best for hot summer days. It tends to be fairly tart, so steer clear or add extra sugar if you don’t like relatively sour drinks. Cranberry apple juice is a classic – and for good reason. These two juices blend together well and create a drink that is satisfyingly sweet with a hint of tartness. 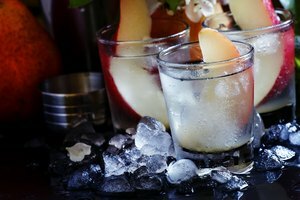 Use the apple juice to balance out the sourness of the cranberry juice; this might mean using more apple juice than cranberry juice in the mixture, depending on your taste. 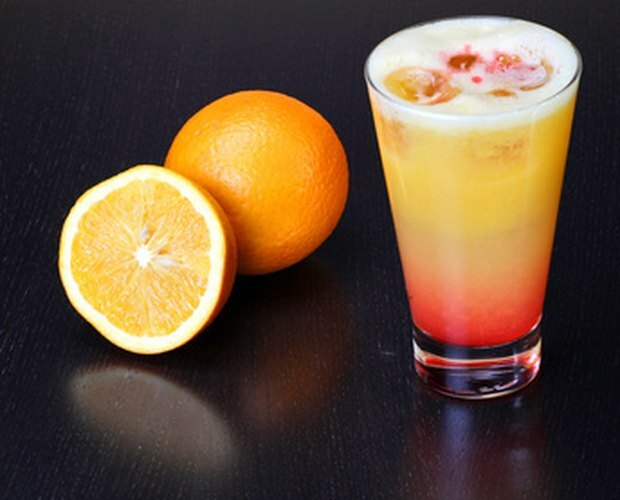 For some extra variety, add a splash of orange juice. Watermelon juice offers a delicately sweet and mild flavor. Raspberry juice, on the other hand, is strong and bold. Despite their differences, the two blend into a sweet pink duet. The gentle watermelon juice mellows out the sometimes overly intense flavor of the raspberries. It also provides more pure liquid to the raspberry juice, which can sometimes be overly thick and difficult to drink quickly. Pineapple and pear juice work together in a similar way to watermelon and raspberry juice. The rich sweetness of the pear juice cuts the intensely tangy flavor of the pure pineapple juice. As a result, the blend is flavorful and complex yet not overpowering. Pomegranate and blueberry juices are both richly flavored but in different ways. Pomegranate juice is tangy and tart while blueberry juice is mostly sweet with only a faint sour note. Combining these two makes an intensely flavored drink that may prove too sour for some palates. If you like the flavor but prefer less tartness, add a splash of white grape juice to provide extra sweetness. Mixing various berry juices together is a safe way of creating your own juice blend. It is difficult to create anything that tastes bad by doing this, so feel free to experiment. Add more or less of certain juices depending on your personal preferences. Some berry juices to consider are blueberry, raspberry, strawberry, blackberry, cranberry and boysenberry.